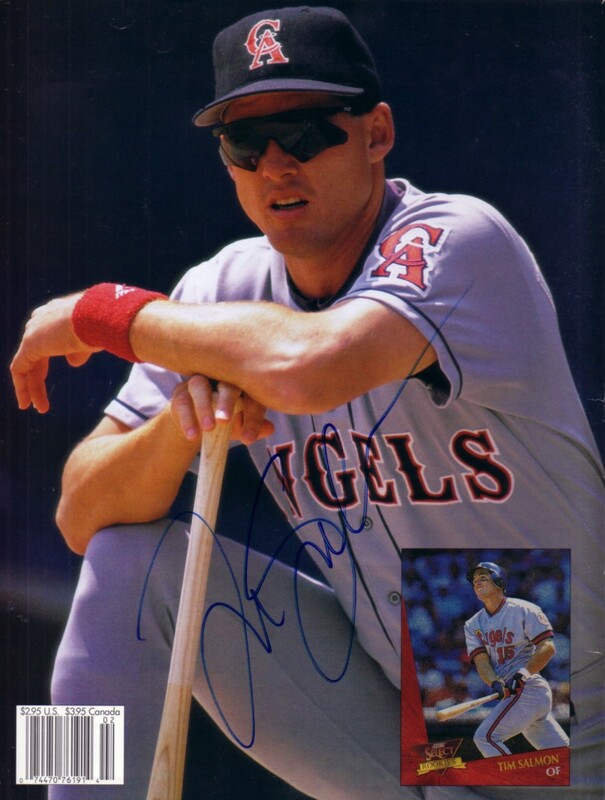 Beckett magazine back cover photo autographed by former Angels superstar slugger Tim Salmon. Obtained in person at celebrity golf tournament. With certificate of authenticity from AutographsForSale.com. ONLY ONE AVAILABLE FOR SALE.